Perhaps our most exciting and newest offering is our world-class cloud solutions portfolio. We make gaining access to Cloud Services easy. A smart move for your company! We have spent years on research and development and have partnered with a leading Fortune 500 organization to bring you a 100% HillSouth-managed suite of Cloud Services. These services have been carefully selected to provide the very best of the burgeoning cloud industry from a company and local business partner they can trust -- HillSouth iT Solutions. Reliability - Redundant power, cooling, internet/data access, switches, etc. Cost-Efficiency - No large capital outlays for new servers or related equipment. Security - Access to physical and virtual facilities is strictly controlled, per industry standards. Flexibility - Add or subtract resources in a matter of minutes without an upfront capital outlay. Disaster Resistance - Your data and services will be backed up to facilities outside the area to protect you against natural disasters and regional power or communications outages. We're geared up to help you implement a true disaster recovery strategy for your business in a facility second to none. Our mission is to deliver services that work for your company 24x7 so you can stay focused on your core business, leaving the management of your technology to your friends at HillSouth. 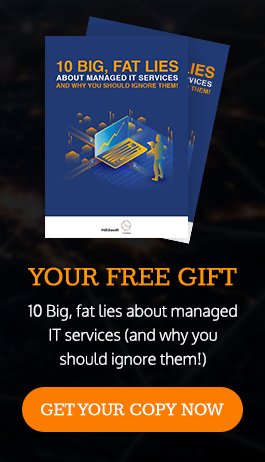 Included in our cloud offerings are some of the most common utilities that every business needs to run securely, efficiently, and within many of the common regulatory guidelines. Many of our business partners, including HP, Cisco, Microsoft, and VMWare offer advanced solution sets for building your own cloud services. Our partners look to the future, but also consider the past to maintain the level of service provided to your user base. 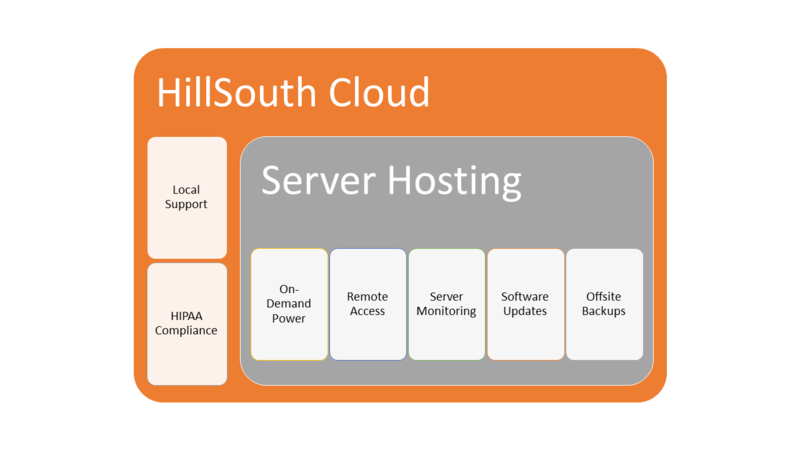 HillSouth will guide you and your business toward proper cloud strategy, whether that involves building your own or accessing an on-demand system from a major vendor. We will spend time to get to know you and your goals, and only then bring in the right mix of partners needed to get your cloud goals accomplished. Need to dip your toes into the flexibility of modern cloud computing? Our infrastructure experts have you covered. We will help you leverage your existing infrastructure to develop a cloud strategy that uses a combination of local and remote resources to get your work done.